Microspec X-Ray Probe - Bubble Technology Industries Inc. 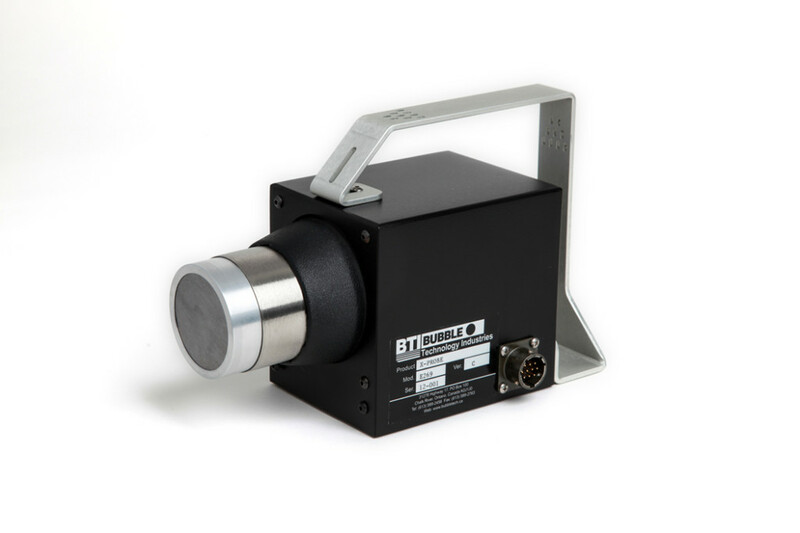 The MICROSPEC X-Ray Probe was developed to perform spectral and dose-equivalent measurements for low-energy photons for assessment of radiological hazards for the skin Hp(0.07) and eye Hp(3). The measurement of low-energy photons is often complicated by the presence of high-energy gamma rays that produce counts in the low-energy regions, which interferes with the counting of X-rays and low-energy gamma rays. The MICROSPEC X-Ray Probe minimizes this problem by using a thin NaI crystal, which has low detection efficiency for high-energy gamma rays and high detection efficiency for low-energy gamma rays. The X-Ray Probe is designed to detect photons from less than 5 keV, to cover 55Fe x-rays at 5.9 keV, up to over 200 keV. over this region, high-energy gamma monitors can significantly underestimate radiological hazards since Hp(0.07) and HP(3) can be much larger than Hp(10) or H*(10). The X-Ray Probe provides accurate measurements of Hp(0.07) and Hp(3) for radiation fields that contain low-energy photon hazards. Such hazards are encountered particularly in diagnostic or interventional radiology involving X-ray tubes operating up to 150 keV. The monitoring of 55Fe has also been found to be very important for detection of contamination inside iron pipes involved in reactor maintenance or decommissioning operations.